Roots, Bulbs, Corms, Rhizomes or Tubers: just think of flower bulbs, just as other plants that you choose to add to your garden. What is the purpose or purposes of your garden? A certain color, to attract certain birds, sun loving or shade loving, deer resistant, naturalistic, formal, etc. 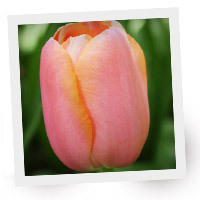 Consider flower bulbs just as you would consider any other flower or plant. They are not any harder to take care of and can be a great addition to your gardens. What is my purpose/direction for this area? What plants are appropriate for the amount of sun exposure? Order your list by bloom season and make sure you have some in each. Now sort your list within bloom season by the typical height of the plant. For each plant you choose, you will typically want 3, 5, 7 or 9 of each of them. Now you may need to add or subtract the amount of varieties you will include in your space. Now it’s the fun part. You get to design your own picture. You get to choreograph the movie or living photo. Use the characteristics of your plants so that the change of seasons creates a dance of color! After you experience bloom times and it didn’t turn out how you thought it would~ move some plants around. It’s your palette and you can change, add or take away anytime you want. It says flower bulb crazy~ but i am really all FLOWER CRAZY! More is better, more variety, more selection of color, more, more, more!! If I don’t have it, I want it! They are a classic, because they have been around in so many peoples’ landscapes for years, often outliving their owner. They are an easy to grow, shrub-like perennial. Practically no maintenance and no gardening experience necessary! Peonies can survive decades with no pruning, spraying, protecting or dividing. If you love flowers, you must have a Peony in your yard! 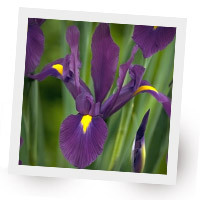 They are treasured because of their large blooms (minimum 3″ across), super fragrance, excellent cut flowers, and longevity. If you have average soil, half sun, and average drainage, you will probably still have an excellent peony that will impress. They bloom in late spring to early summer, and their ‘shrub-like’ foliage looks good into late fall. 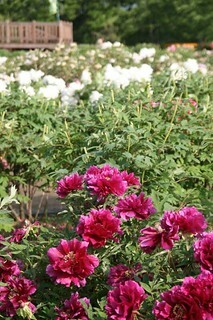 In the first 5 years of growth peonies get bushier and produce more flowers each year. After 3-5 years you can easily divide your peony. You can dig up the root ball and rinse roots, so you can see each of the tubular roots. Get a long flat shovel and cut out a ‘slice of pie’; being sure that your slice has 1-3 crown buds in it. Now, replant and water and wait for more ‘flower shrub’ peonies to emerge next spring. Peonies are great for borders, including in a perennial garden, and great at covering over yellowing spring bulb foliage. I am sure you will grow to love Peonies as much as I have! 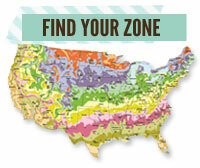 Looking to add more color to those shaded areas of your yard? Caladiums are an excellent choice and very easy to grow and care for. Vibrant reds to pale pinks, wide bands of color to speckled patterns of green, the foliage of caladiums will make quite the splash in your shade garden! The heart-shaped leaves of caladiums generally grow 12-20″ tall and work well for borders, accents or simply intermixed with other shade-loving plants, such as hosta, astilbe, and begonias. They will provide great color all season long! Plant them in a well-drained planting container with a bit of potting soil, at a depth of approximately 2-3 inches deep. Attempt to determine which end is up by feeling for points (buds) on one end. Once those points are found, place this side upwards under the soil. Water sparingly. Caladiums require a consistent temperature of 60° F or above in order to sprout and begin growing. Keep in a sunny location, somewhat shielded from hot, direct sunlight. Move containers outdoors or replant in an outdoor garden bed after all threats of frost has past. Some sources even lovingly refer to caladiums as Angel Wings! 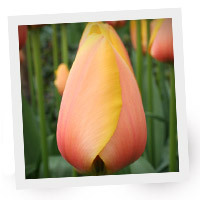 Check out some nice varieties at Tulipworld.com. You can get them as early as late February, giving you a nice jump-start on your garden. Keep in mind: caladiums are only hardy in planting zones 9-11, but can easily be stored indoors over the winter if you are in colder zones. Protect them from frost at all costs and you’ll have beautiful foliage for your shade garden for years to come! Spring is just around the corner, and with that kicks off the 2014 wedding season! Right now brides everywhere are planning every detail of their special day, down to the decor, food, attire and of course FLOWERS! Flowers can be used all throughout a wedding, especially bouquets and decor for the ceremony and reception. We took a look at what is trending in the wedding industry and we hand-picked our favorite flower for 2014 weddings, the Cafe au Lait Dahlia. Here are a few photos from my yard the first week of May! 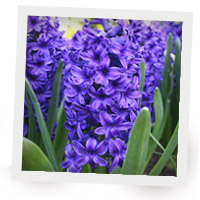 Daffodils, Hyacinths, Scilla, Muscari and many Tulips are now open! Fritillaria, late Tulips, Iris, and Allium are yet to bloom. Many Peonies, Astilbes, Geraniums, Bleeding Hearts, Ferns and many others have all begun to grow! Springtime is exciting, because there continues to be new blooms to see each week! Walking through the garden can be beautiful, peaceful and relaxing. There are many aspects to look at when planning your garden: color, architecture, bloom time, hardiness, etc. Planning for when and where you put fragrant plants would be another. The varying fragrances of plants, flowers and shrubs can range from sweet to pungent. It really depends on the individual as far as which ones fit into which category. Adding fragrance to your garden can be as simple as purchasing the flower you like and finding a spot for it in your garden. At my first home, I bought a dwarf lilac and planted it right outside my front window. I loved the smell and looked forward to spring even more in anticipation of it wafting into the house. You could put a little more thought into it and experience even more enjoyment. Be sure to find fragrant plants for each season and incorporate them in different areas of your gardens. By planning this way, you will be able to find sweet fragrance in your yard Spring, Summer and Fall throughout all your garden areas. Be sure to plant them in all the key areas of your garden, such as your front entry, along the edge of your patio, in containers, or along your walkway. 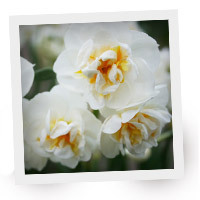 There are so many choices of fragrant blooms that vary in height, bloom time, and hardiness. You can add a variety of fragrant shrubs, perennials, and annuals for the most interest. The following is a list of many to help you get started. Spring blooming: Lilac, Daphne, Rhododendron, Peony, and Korean Spice Viburnum for shrubs. Fragrant Begonia,Hyacinth, Fragrant Daffodils, Sweet Pea, Chamomile, and Bearded Iris for flowers. Summer blooming: Summersweet, Butterfly bush, Mock Orange, Honeysuckle for shrubs. Tuberose, Phlox, Russian Sage, Festalis Ismene, Petunia, Oriental Lilies, Bee Balm, Geranium, Lavender, Freesia, and Heliotrope for flowers. Fall blooming (or late summer): Wintersweet, Sweet Box, Abelia for shrubs. Foxtail lily, Sweet Autumn Clematis, Sage and Anise for flowers. Winter sure can get long by the time March rolls around. The cold usually keeps me mostly indoors for more than three months. 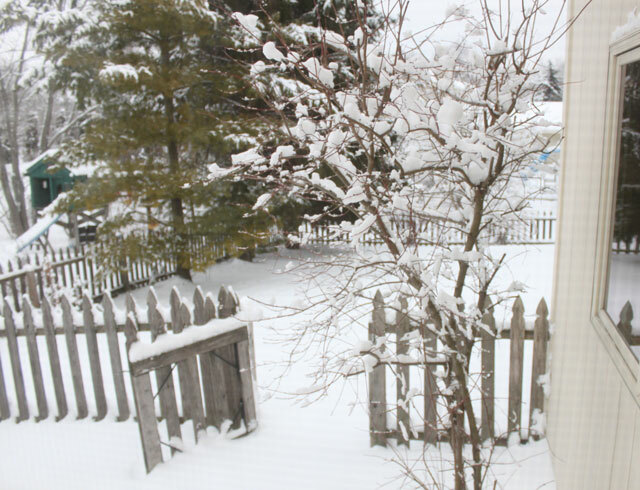 I emotionally and mentally get through this time by focusing on the beautiful snowfalls and spending my time forcing flower bulbs and growing amaryllis. The sweet scents of myhyacinths and the huge blooms of the amaryllis both help to fill the void from what I am missing from the outdoors. I write about caring for your garden, specifics on many flowers, different planting ideas, etc. I am a flower, garden and outdoors lover. When it comes to indoor plants and flowers, it is a little different. I am just one of those that does not care for them well. I still love various foliage and flowers, but do not seem to give the same care and love to them indoors. (Hence why the flowers I use in winter — hyacinth and amaryllis — are the easiest plants!) They virtually need NO care. I know I cannot be the only one like this. Currently, I have two indoor plants surviving over one year: an Aloe plant and an Oleander. They seem to be quite tolerant of neglect. Foliage and flowers make the indoors look better by design, much like they do outdoors. I just wish I could stop losing plants. I have seen and read about these cute and adorable Terrariums. I think I may be able to keep succulents alive?? (The Aloe doesn’t always look good though it is still alive.) I love the idea and decided to add a few to my decor this winter. When I found these terrariums that have artificial foliage, it was perfect for someone like me. You cannot tell that they are not real succulents either! They are called Forever Faux Terrariums. It is only early March, yet I am already writing in anticipation of Spring. We just received another 3 inches of beautiful snow yesterday. Most of our snow was late this year, but I know Spring is almost here. When it arrives, I am thrilled to walk around the yard and look at all of the new buds just beginning to appear. There is also much anticipation to take the time to sit and relax outdoors. The cool weather is great for working in the yard, but it is difficult having to return to the indoors so early on these still cold evenings. In Wisconsin and many other northern states, we have just spent at least 3-4 months trapped indoors. That is what makes a fire pit or chimenea almost necessary for at least half of the United States. It is wonderful to stay outdoors, enjoying the fresh air and sounds in the air. Outdoor heating elements make this possible earlier in the year! When you are done working in the yard or return home from work, it can be very relaxing to sit outdoors by the heat of some type of fire. 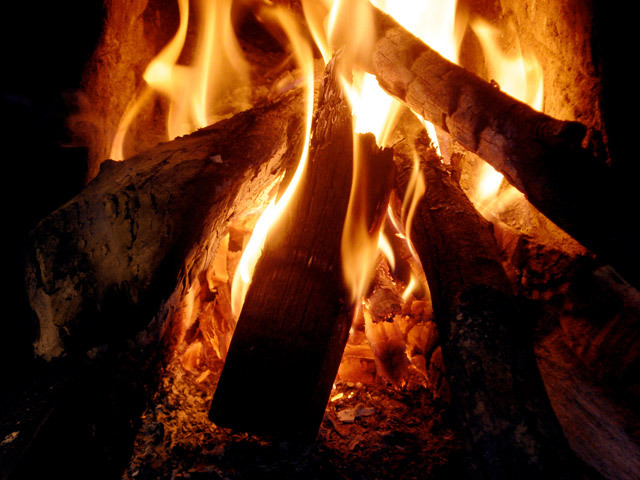 It is not just the heat and fresh air that is relaxing, but also gazing at the flickering and dancing flames which can help to create a tranquil environment. It is why those in Florida or in any other southern state can still have so much enjoyment from some type of fire pit or chimenea even though they may not need the warmth quite so much. Get outdoors soon, and stay out as long as you can! Take time to rest and relax, soaking up all the outdoors has to offer you — right in your own back yard! Small fires are easy and safe to enjoy. 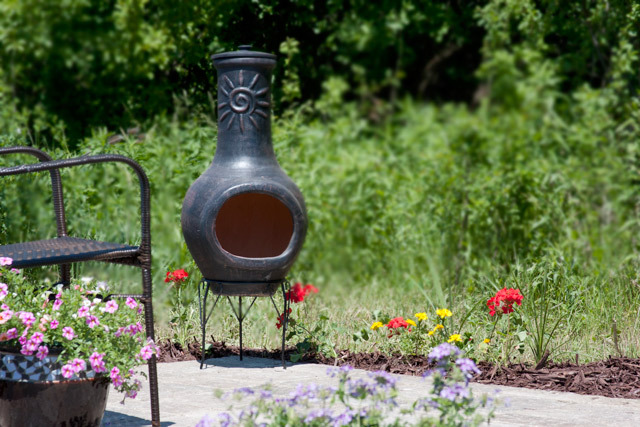 If I have convinced you to get yourself your own fire pit or chimenea, I encourage you to check out the cool affordable options that WillardandMay.com have to offer you. Most people enjoy flowers. Some more than others, of course. This is a project that any age group can do, and you get flowers to enjoy, too! Forcing fall planting bulbs can be a great way to get some indoor blooms. 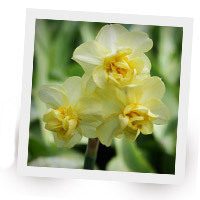 Forcing can be a long process, due to the fact that the bulbs need so many weeks of cold before they will produce any flowers. BUT if you buy bulbs that have been pre-chilled, it becomes more simple & easy! You can do this project on your own or include the rest of the family. Do it just for fun, as a classroom project or even as a homeschooling project! 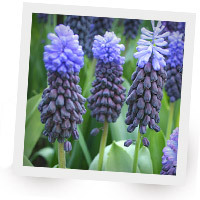 Choose from Hyacinths, Tulips, Daffodils, or use them all! 2. Unpack your planting containers and some potting soil. 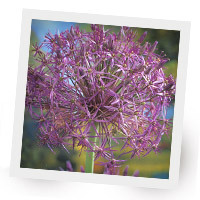 Or to make it even more simple, you can even buy planting kits (container, soil & bulb) from WillardandMay.com. 3. Plan on planting as many bulbs that you can fit in the container. You decide. Cover bulbs with soil and water lightly. No fertilizer or any other additives needed. 4. Once your bulbs have been fully chilled (each type of bulb has a certain amount of chilling weeks needed), simply set out under normal lights for about a week. Then place in a bright window or under brighter lights for 2-4 weeks. 5. Once blooms begin to open, move to normal lighting area for a longer bloom time. Now Enjoy! Well, have I got the answer for you! Why not consider purchasing some “pre-chilled” bulbs so that you don’t have to do the work? 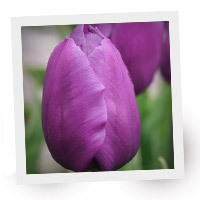 Willard & May has recently started to offer kits containing Tulips, Daffodils, Hyacinths, Muscari and Crocus bulbs which have now been chilled for at least 10 weeks. These kits are sure to bring some cheer to anyone’s home and office, making wonderful gifts! Planting and then watching these bulbs grow can even be a simple but fun and educational project to do with young children. The planting container, soil disk and bulb are all included. So go check them out today!